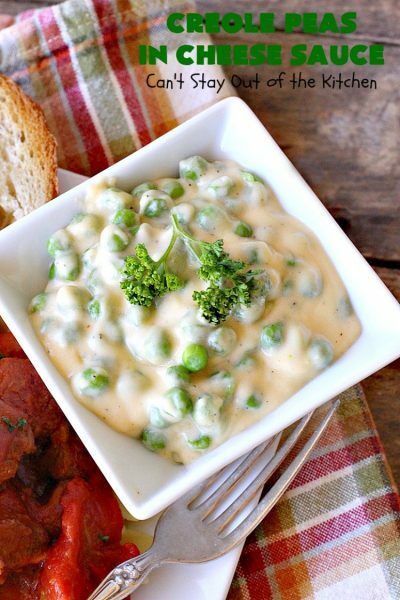 Creole Peas in Cheese Sauce is a mouthwatering side dish you’ll absolutely love. It’s also incredibly quick and easy to make. I had this side dish ready in about 10 minutes! No kidding. That makes it perfect for holiday meals or company dinners. This tasty dish starts with a quick and easy white sauce. Adding cheddar cheese and Creole seasoning gives it a special kick that’s really awesome. 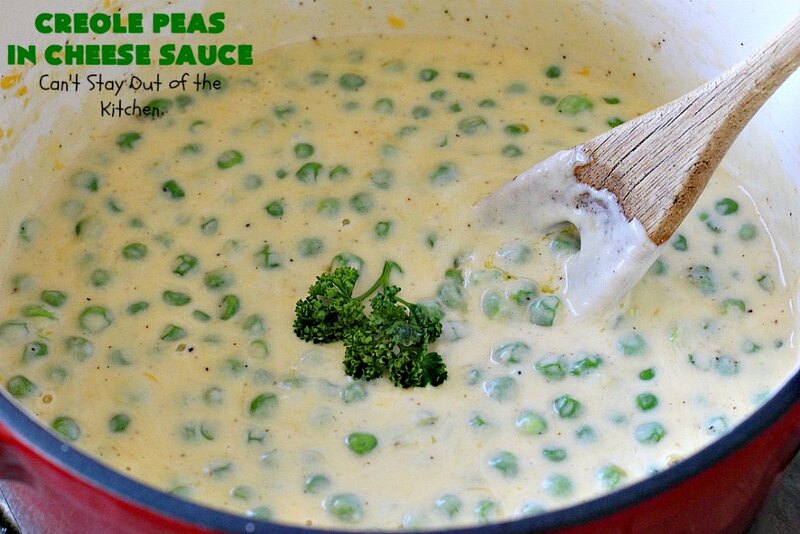 Then after microwaving the peas about five minutes, they’re stirred into the sauce. That’s it. Simple, easy, quick, scrumptious. 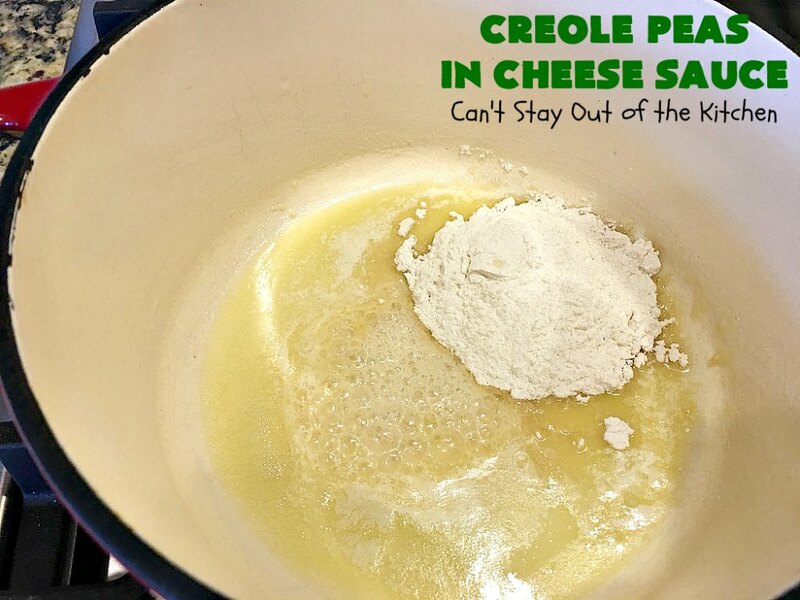 I never was much for using Creole seasoning in food before I met one of our neighbors. She had us over for dinner one night and served about four things with it. My concern was that it would overpower everything. But that’s not true. It flavored everything exceptionally well, but nothing was overpowered. I’ve become a believer. 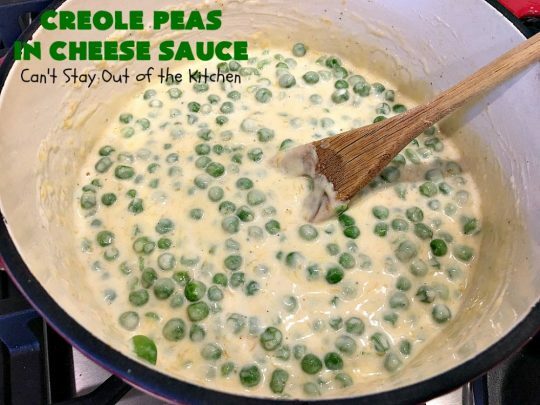 I made a slightly different version of these peas for a potluck for our weekly Friday night care group. When I texted Linda that I was making her recipe, she told me she also likes to make it occasionally with velveeta cheese. I tucked that thought into the back of my mind. A month or two later, I decided to make it again. This time I chose to use regular sharp cheddar cheese instead of processed cheese, but it was still fantastic. 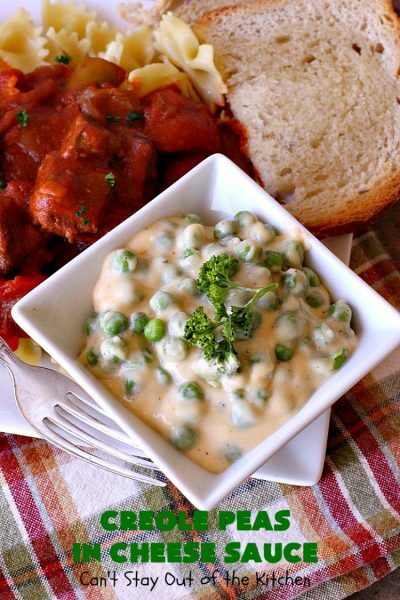 I served it with Hungarian Goulash and both were terrific. 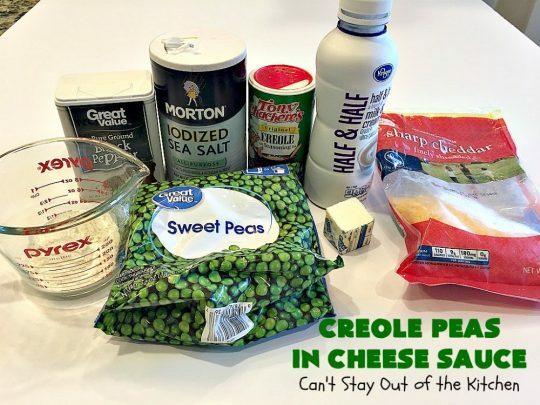 Creole Peas in Cheese Sauce is a terrific side dish for holiday or company meals. 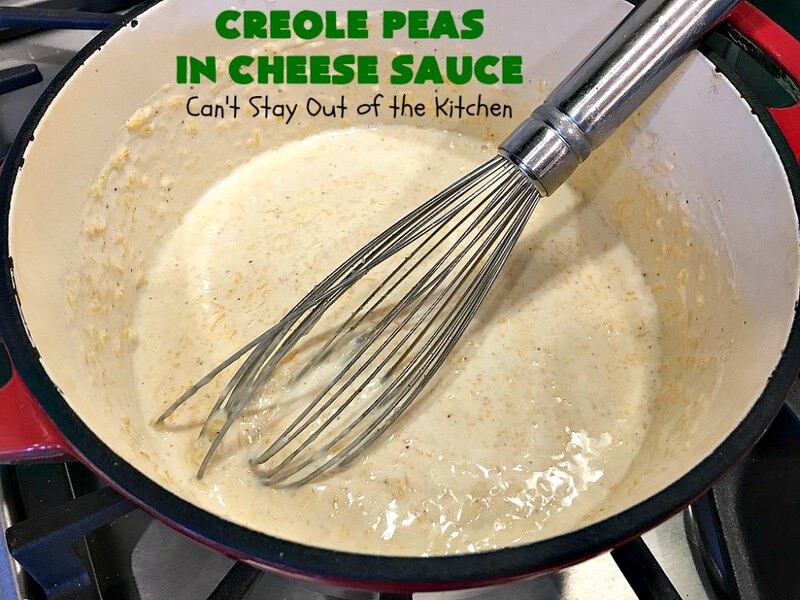 The cheesy creole sauce is awesome. Plus, you can always add more Creole seasoning if you enjoy a stronger flavor. I served Creole Peas in Cheese Sauce with Hungarian Goulash. Both dishes were awesome. 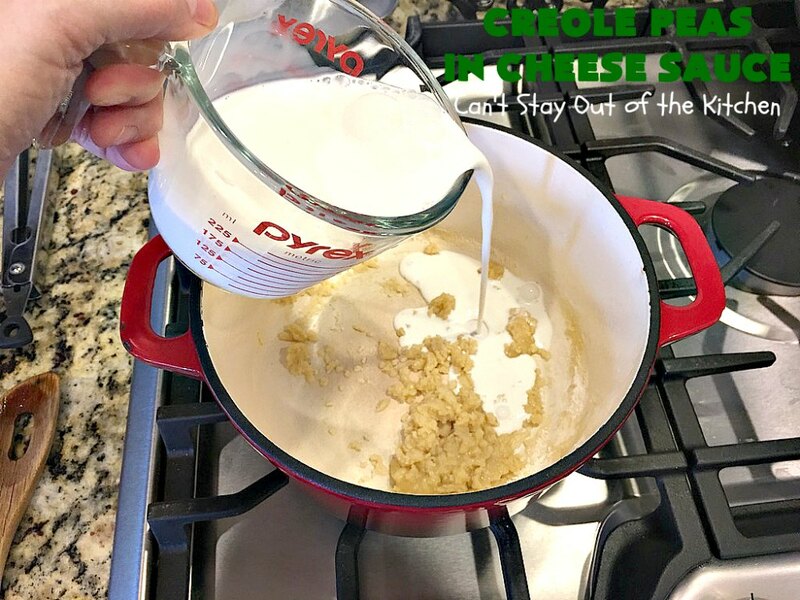 Melt butter in a medium saucepan over low to medium heat. Add flour. Whisk flour to combine. Slowly add half-and-half about 1/4 cup at a time and whisk until totally incorporated. Add salt, pepper and Creole seasoning. Whisk to combine. 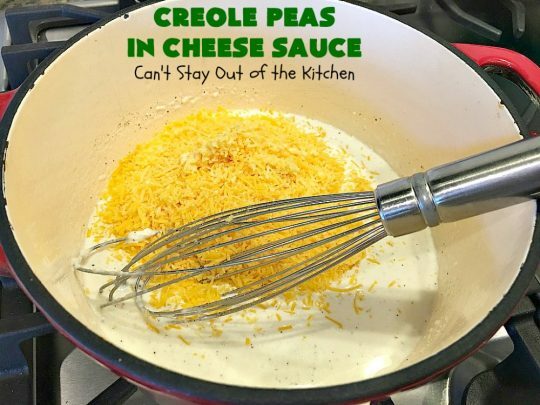 Whisk and stir until cheese melts. Microwave peas about 5 minutes on high. Drain if necessary. 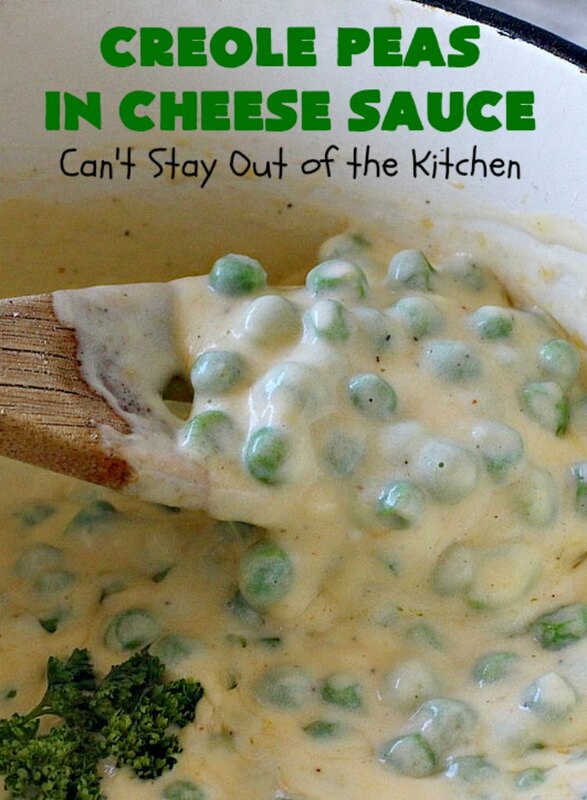 Add to cheese sauce and turn off heat. 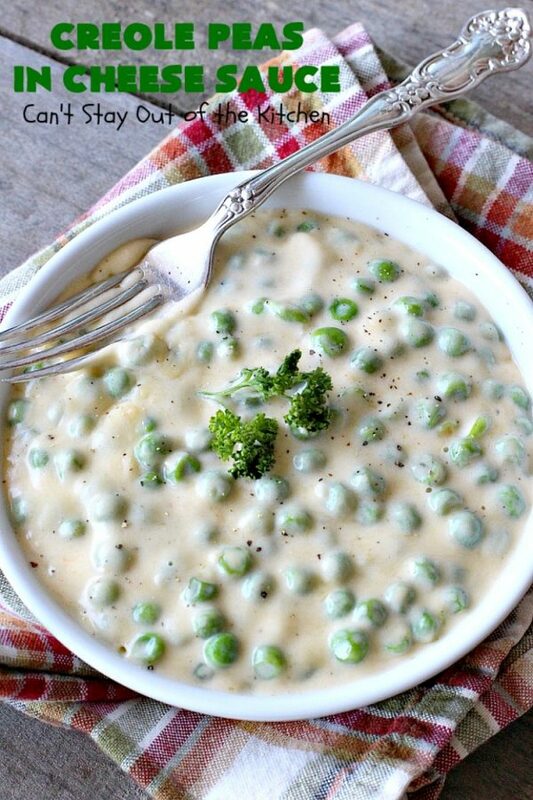 Creole Peas in Cheese Sauce is a delicious way to serve peas. If you’re looking for a new way to serve peas from your garden, this is it! This delicious and creamy side dish pairs peas with a mouthwatering cheese sauce that includes Creole seasoning. This quick and easy vegetable is absolutely delightful and terrific for holiday or company dinners. Stir in flour, salt, pepper and Tony’s Creole seasoning. 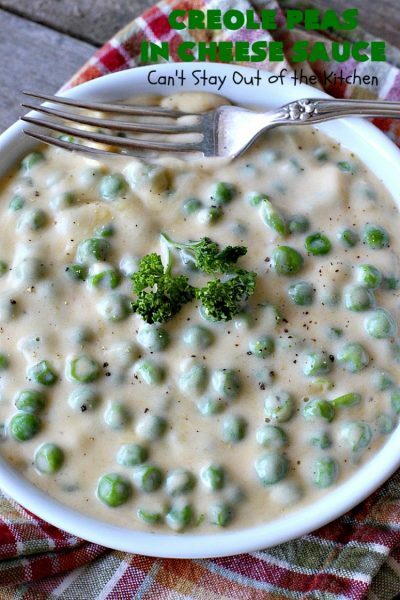 Add half-and-half slowly until ingredients are incorporated and you have a medium white sauce. Stir in cheddar cheese and melt. 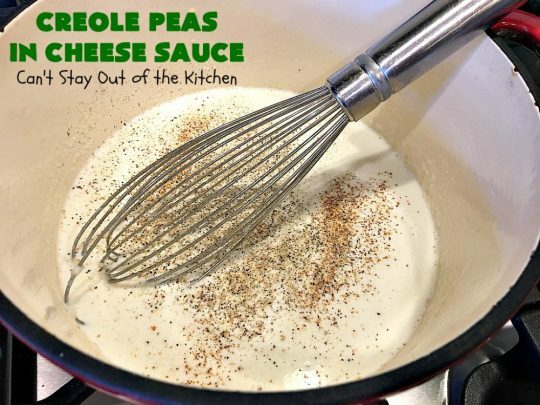 If you enjoy peas, this is a great new recipe to try. 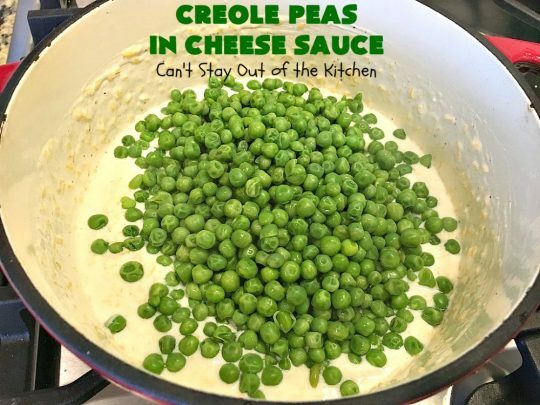 Creole Peas in Cheese Sauce is not overly spicy despite the name. 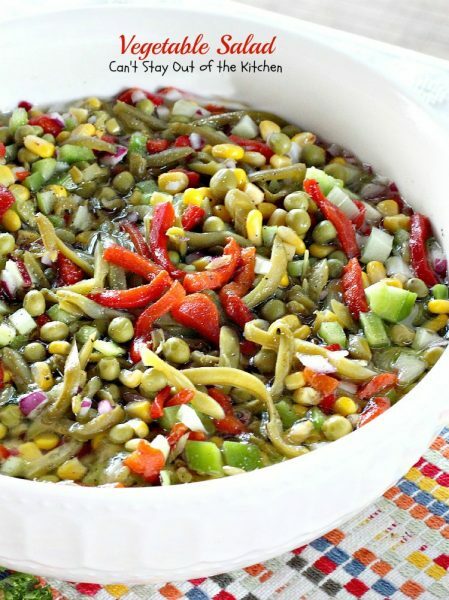 It’s really a fantastic side dish for any main dish entree. 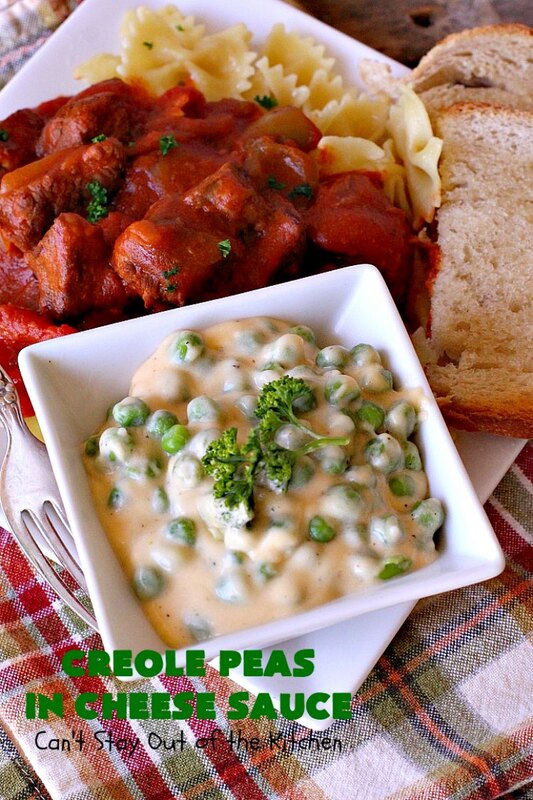 It’s especially good with Hungarian Goulash served over noodles.